Having a decade of experience in landscaping, maintenance and lawn care services, we strive to exceed all of your needs and expectations. With extensive knowledge in the lawn care industry, we are able to professionally assess the existing area and build from that a creative and appealing finished product. We are a family owned and operated company and work with each client on a personal level to go the extra mile in guaranteeing perfection. Taking care of your lawn is important to you, but sometimes time isn’t on your side, and the to-do list piles up quickly. With our full-service professional lawn care services, we’ll give you the picture-perfect lawn you’ve been looking for, without all the hassle. From mowing, to tree pruning and trimming, lawn edging, weeding, fertilizing, aerating, and lawn treatment service, we do it all to ensure that your lawn stays in tip-top shape! No home is complete without a breathtaking yard full of trees, plants, and flowers! 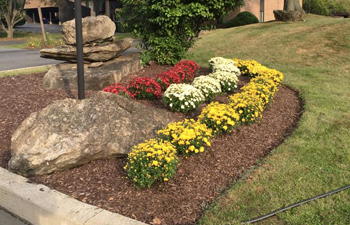 Not only does it bring vibrant life and color to your home or business, it also adds value to the property and maximizes curb appeal. We take over your project from start to finish, from drawing up the custom landscape designs to planting the gardens. 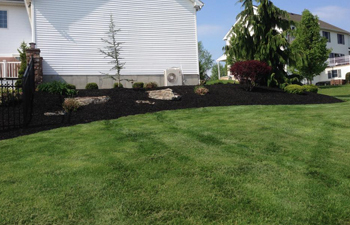 We take the area of your home or business and completely change it around by adding nature elements. With a decade of experience in exceeding all expectations of home and business owners, we are prepared to build your dream outdoor space to perfection. What better way to accent the plant life in your garden, or the structure of your home, than with custom stonework? 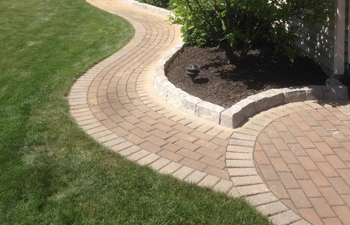 We install paver patios, walkways, fire pits, and retaining walls to add another layer of beauty to your outdoor space. Our level of precision craftsmanship comes from years of experience and close attention to detail in each project we take on. We pride ourselves in building outdoor living spaces that you can enjoy for years to come. Get started on your custom hardscaping elements for your home or business. While most people might enjoy the time of year when snow starts to fall, traveling in it can be dangerous. 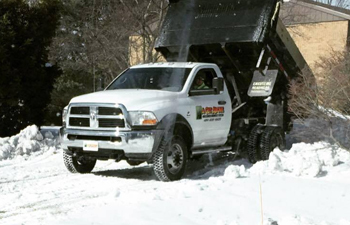 That’s why we offer professional snow removal for driveways and parking lots, to keep your family and customers safe. So if there is a chance for snow on the weather report, you can be sure that we’ll be on-call and ready to handle any task. We make sure you’re able to safely get to where you need to be, so you can go about your day without all the hassle.